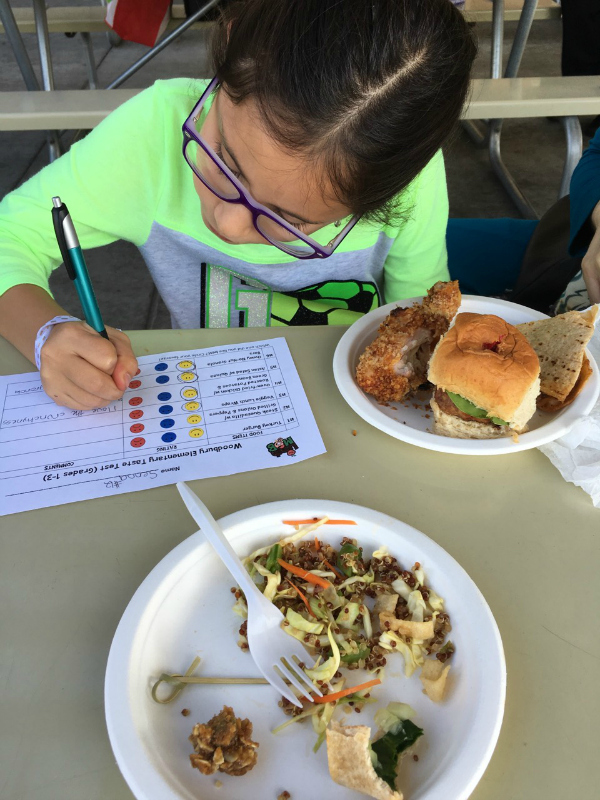 We had a blast at our first Kids’ Taste Test event at Woodbury Elementary last week. 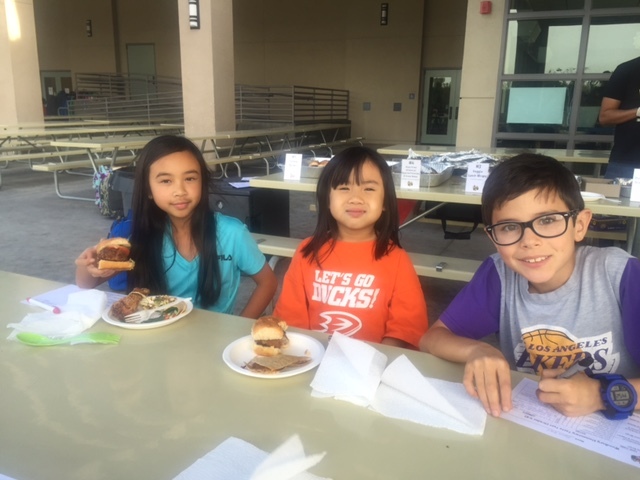 We let the children sample some of our classics: our Stuffed Turkey Burger, Asian Chicken and Quinoa Salad, Oven Fried Chicken With Roasted Potatoes and Green Beans, Homemade Granola Bars, Steak Quesadilla With Grilled Onions and Peppers, and our Veggie Lunch Wraps. Want to know the results of which of our lunches the kids liked best? 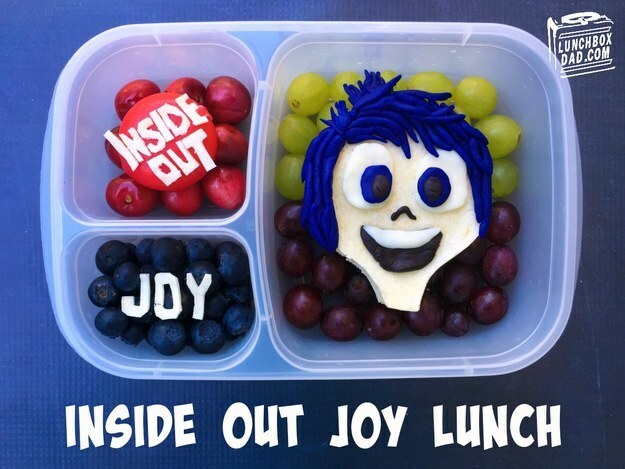 Here’s the breakdown of which of our healthy school lunch options wowed these children the most, complete with comments of what they thought about each menu item. We loved their honesty and excitement! We had two age divisions: Grades 1-3 and Grades 4-6. Here are the results broken down by age. 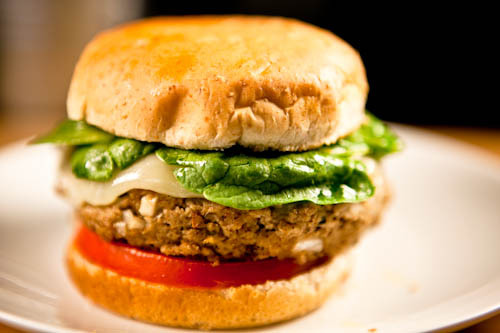 For the 1st through 3rd graders, the top 3 faves in order were: the Oven Fried Chicken With Roasted Potatoes and Green Beans, our Chewy No-Nut Granola Bar, and the Stuffed Turkey Burger. 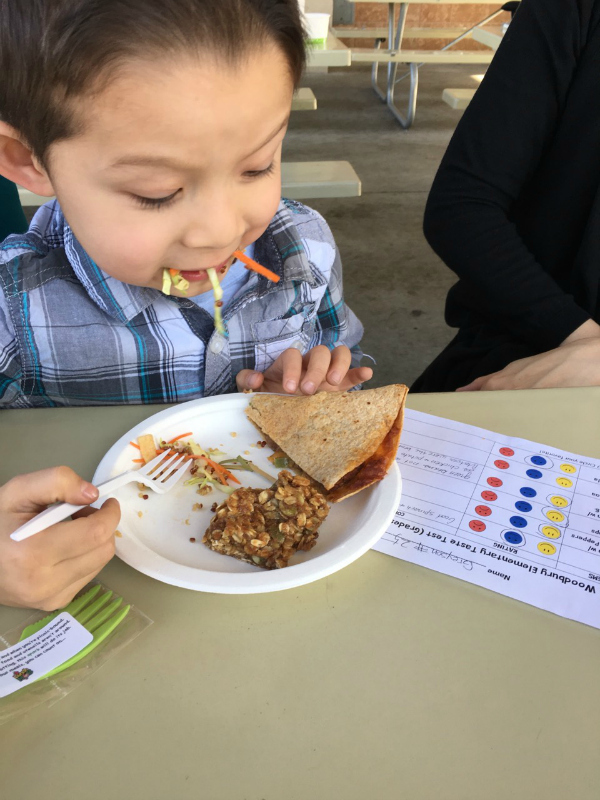 For a complete list of the 1st-3rd graders’ ratings and comments for all six meals including our Asian Chicken and Quinoa Salad, Steak Quesadilla With Grilled Onions and Peppers, and our Veggie Lunch Wraps: click here. For the 4th through 6th graders, the same three meals tied with the highest overall score. 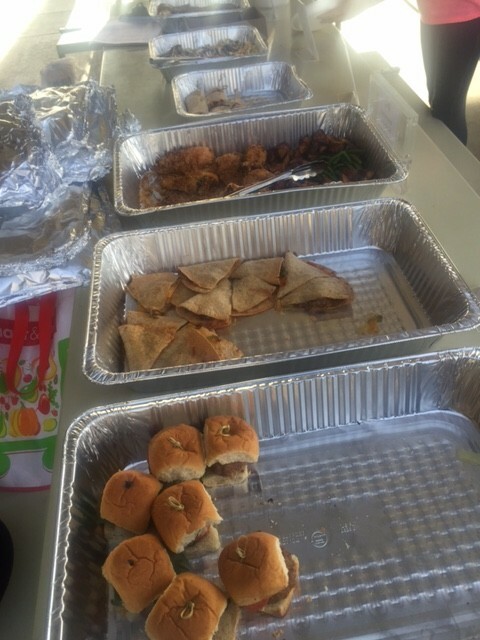 The top 3 faves in order were: the Oven Fried Chicken With Roasted Potatoes and Green Beans, our Chewy No-Nut Granola Bar, and the Stuffed Turkey Burger. Close after that was the Asian Chicken and Quinoa Salad and Veggie Lunch Wraps. They had a different rating system. 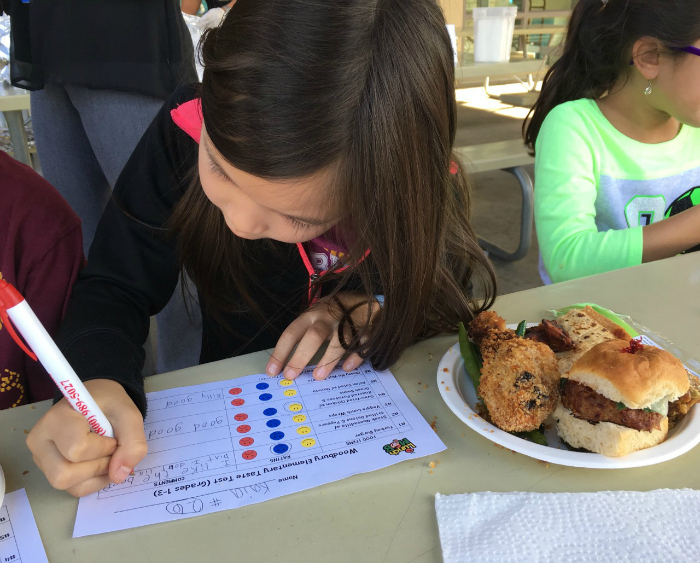 The 4th-6th graders rated our meals based on three categories: Look, Taste, and Overall. These ratings were 1-5, with 5 being the highest. 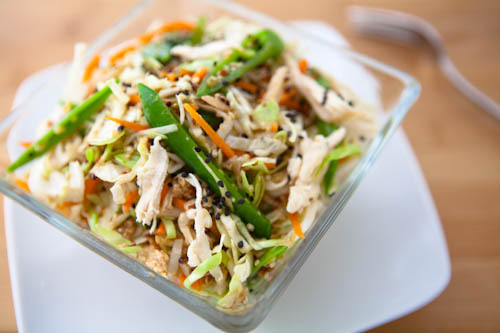 For a complete list of the 4th-6th graders’ ratings and comments for all six meals including our Asian Chicken and Quinoa Salad, Steak Quesadilla With Grilled Onions and Peppers, and our Veggie Lunch Wraps: click here. 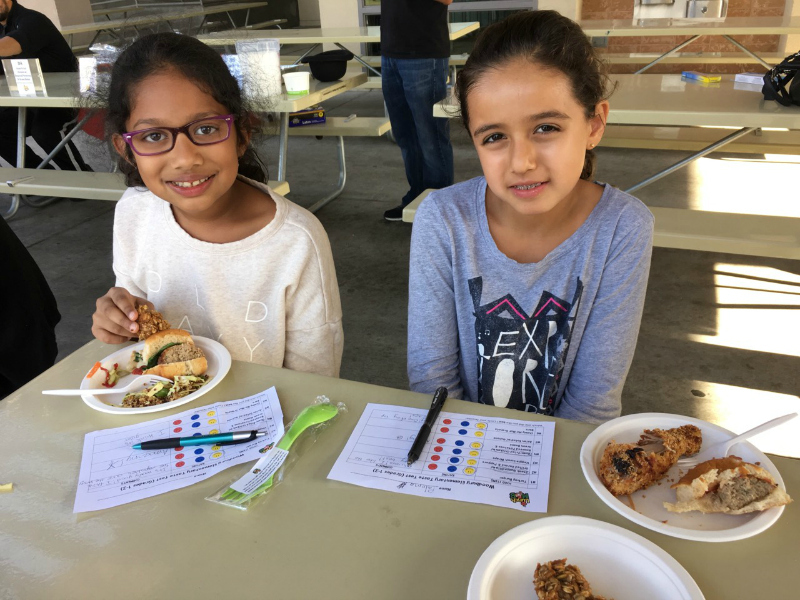 Are you interested in bringing our Kids Taste Test to your school to check out some of our fresh and healthy school lunch options? Contact us today! 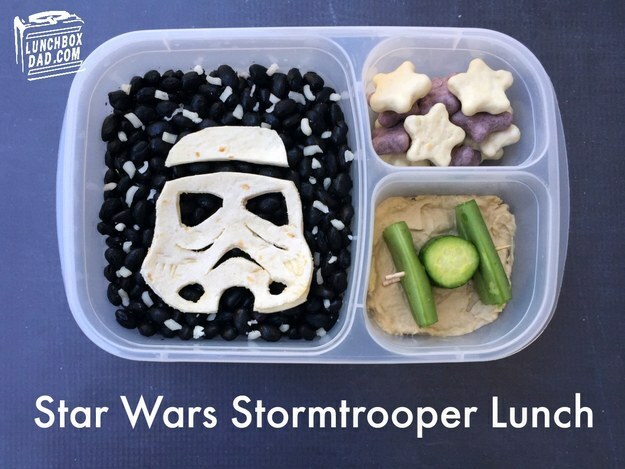 https://www.thelunchmob.co/parents/ or 949- 415-9529. And thank you again to the amazing students, faculty, and staff of Woodbury Elementary! As a busy parent, it is difficult at times to prepare a healthy but also nutritious snack all at the same time. You might be tempted to reach for those high calorie, sugar packed, and fat filled “quick” snacks. Keep in mind most of those items are considered “junk” food that can slow down your child’s metabolism, cause digestion problems, and making your kids sluggish and inactive. This is why The Lunch MOB is devoted to providing healthy, fresh, and tasty lunches to kids in the Orange County area. Here at The Lunch MOB we have put together 4 quick and easy snacks that you can prepare for your kids. These are great ideas to throw into their lunches, serve at your upcoming holiday party, or simply provide after the holidays are all complete. 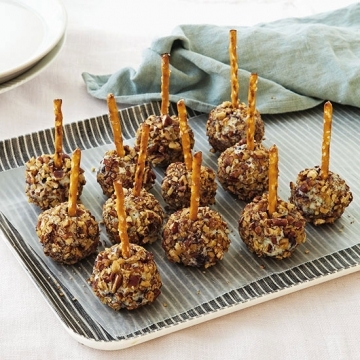 Holiday party cheese ball pops are similar to the classic cheese ball. However, you can kick this cheeseball up a notch with adding the flavors of cranberries and toasted pecans that make it sweet but healthy. It is a perfect treat for the kids during the holiday parties or just as a snack. Most kids despise veggies, you may even go as far as to say “hate”, simply because of the “earthy” taste, and that is why some skip their veggies or meals altogether. 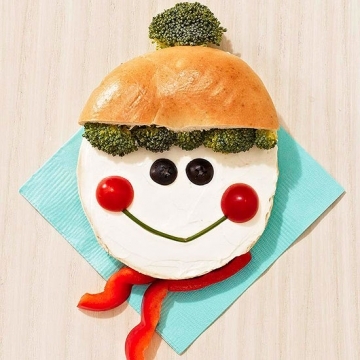 Bagel Buddies come with a happy smiling face to lure kids into eating their much needed veggies. For a homemade bagel buddy, spread a half piece of bagel with cream cheese (who doesn’t love cream cheese?) and trim the other half of the bagel to form a hat and fit it to the first piece you have cream cheese on. Decorate the edge of the hat with broccoli florets and press two halves of black olives to form eyes. Attach two halves of a grape tomato to the bagel to form the cheeks and complete your masterpiece with a chive smile and a bell pepper scarf. 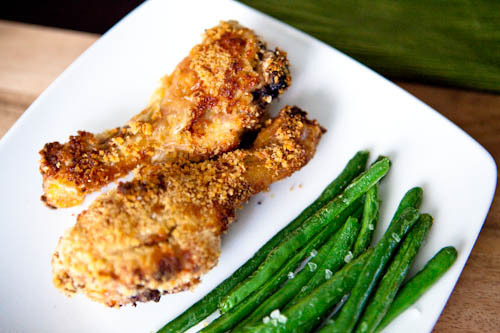 This is a very simple recipe we love here at The Lunch MOB. On your next grocery store visit, pick up some whole wheat sesame crackers, or you may also be able find gluten free ones depending on where you like to shop. 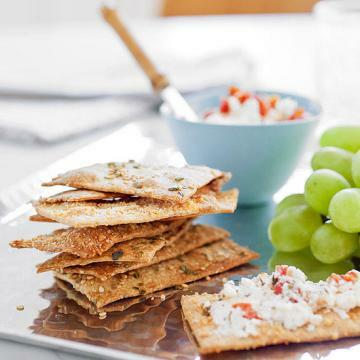 Apply a thin layer of cream cheese to your sesame crackers. Then sprinkle your or your kids favorite dried herbs right on top. Change it up with some dried basil, or some dried chives. You can also find no salt dried herb mixes at the grocery store, which can result in an explosion of flavor your kids will love! Play around with different herb options until you find the ones your kids like. What child doesn’t love building a gingerbread house and then of course eating it right after? 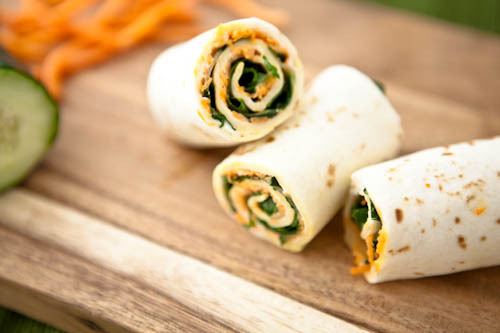 How about a healthy spin on a holiday kid favorite? 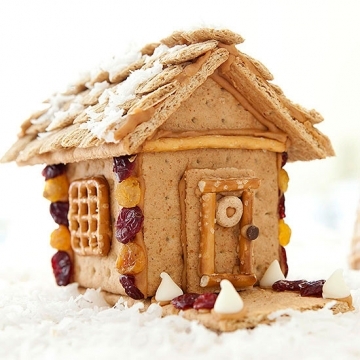 To make this Holiday healthy version, first take some graham crackers, these will form the walls, doors, and the roof. Normally you would be reaching for the icing to bind everything together, but remember we are going for healthy here. Grab your peanut butter, or for those with a nut allergy, hummus (as long as it’s thick enough) or cheese can also be used. 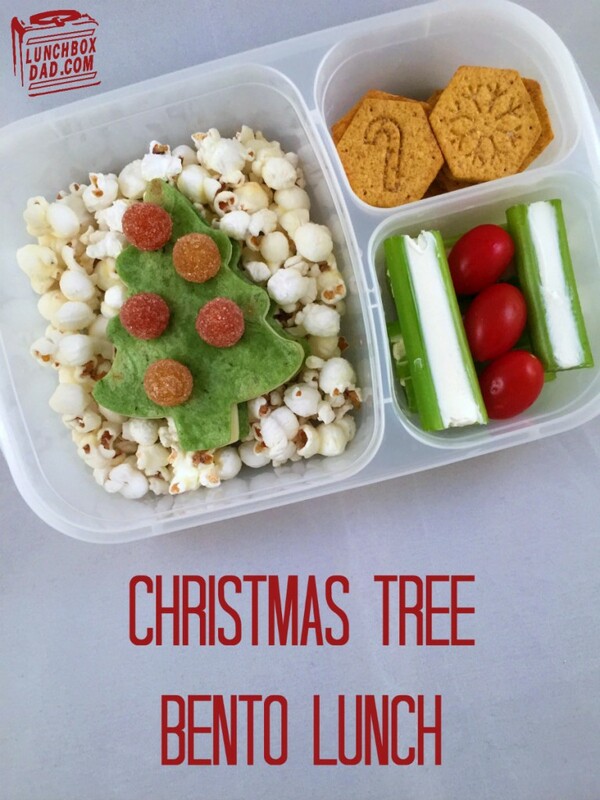 You can add your peanut butter or hummus and put a few scoops into a ziplock bag and seal it up. Work the peanut butter down to one corner of the bag where you will then snip off a small amount of the bags edge to create a “icing” tool. This keeps your hands clean while you are able to control where the peanut butter gets applied. To decorate, be creative! 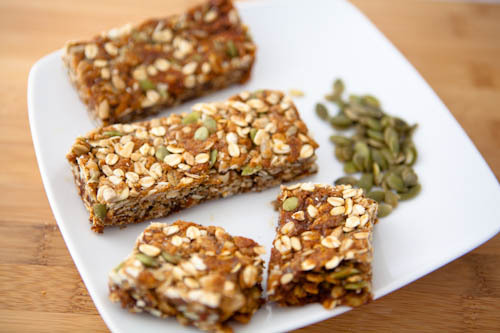 Use some healthy snacks items such as dried fruits, nuts, healthy cereals and whole wheat pretzels. It’s important to remember a few things while trying these fun but healthy snack ideas for your kids. Be sure to get them involved. 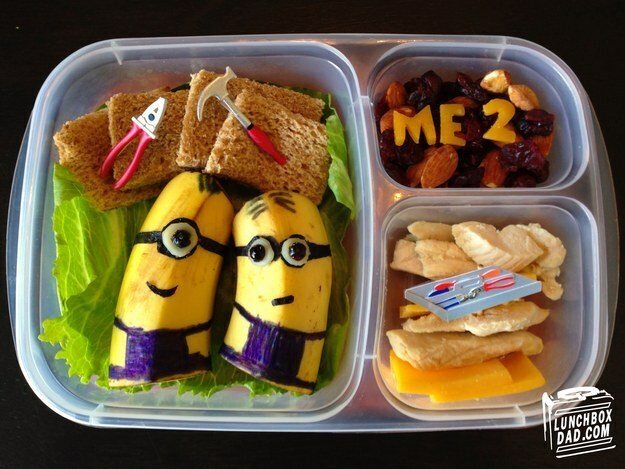 This is a great way to use these simple snacks as “teachable moments” with your kids. Helping them understand that healthy snacks not only provide fuel for their growing bodies, but also the vitamins and nutrients that their “super” minds need to grow and learn. Not only does this become a “teachable moment” but it also allows you to have some fun time with your kids. With our hectic schedules and technology that our kids often have to compete with in order to get our attention, these are the moments your kids will remember for years to come. You can also add this to or make it part of your holiday tradition moving forward. Here at The Lunch MOB, we understand especially at this time of year things get hectic, it’s our goal to relieve some of that daily pressure from your schedule by providing healthy and nutritious meals that your kids will love and thank you for. Now Serving: Honest Kids Drinks! December 10, 2015 By The Lunch MOBNewsComments Off on Now Serving: Honest Kids Drinks! The Lunch Mob is pleased to announce that we are now serving Honest Kids drinks with each of our lunches! We are excited to be serving drinks from the Honest Kids company, a company that aligns with the same values that The Lunch MOB strives for every day. The Honest Kids company shares our same passion of providing children with healthy alternatives without sacrificing taste. Serving up less calories (from 120 to 35), and a lot less sugar (from 29g to 8g), from our previous juice drinks, Honest Kids drinks are the perfect companion to our more than 60 unique, healthy school lunch options. In 2013, they removed the organic cane sugar from all Honest Kids varieties. They found a way to deliver the same great taste by sweetening the juice drinks only with fruit juice. With a variety of flavors from “Tropical Tango Punch” to “Appley Ever After,” Honest Kids shares the same spirit in bringing fun and interactivity to lunch time. 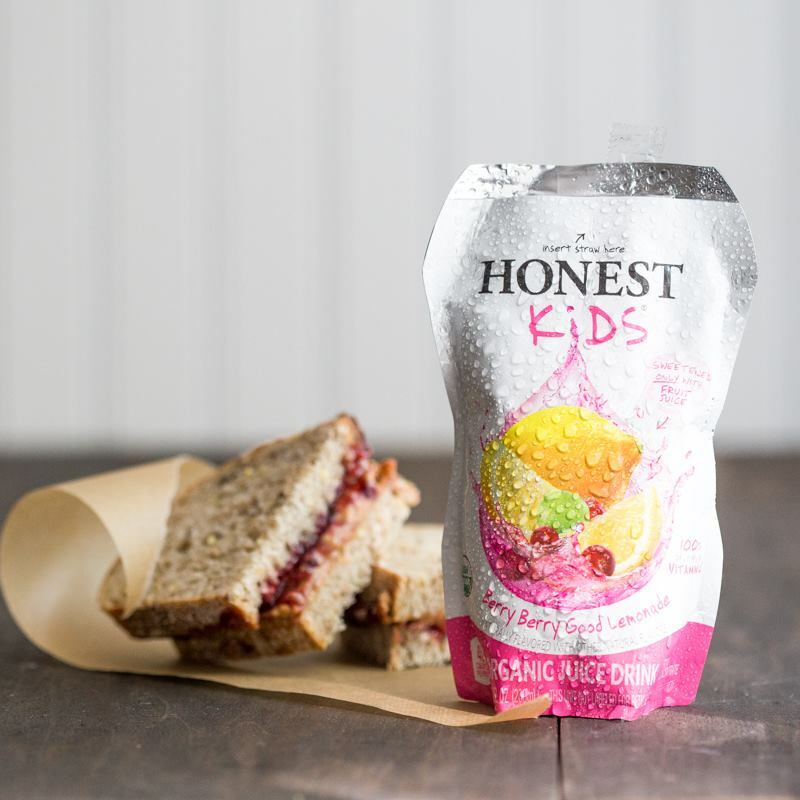 We’re excited to now serve Honest Kids juice with your children’s lunches! The Lunch MOB Welcomes McDowell School! 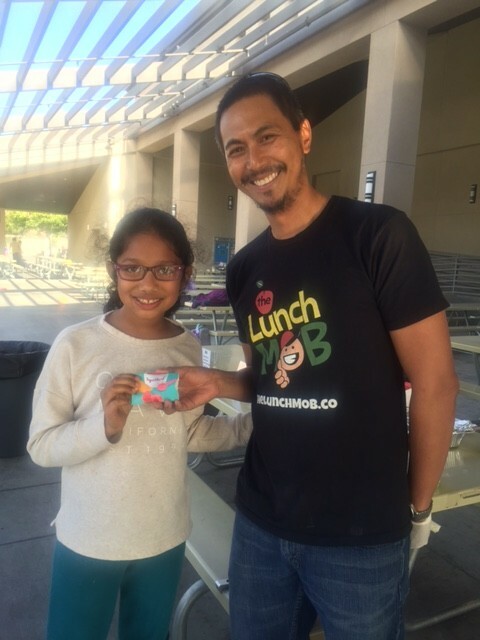 December 8, 2015 By The Lunch MOBMobile App, NewsComments Off on The Lunch MOB Welcomes McDowell School! 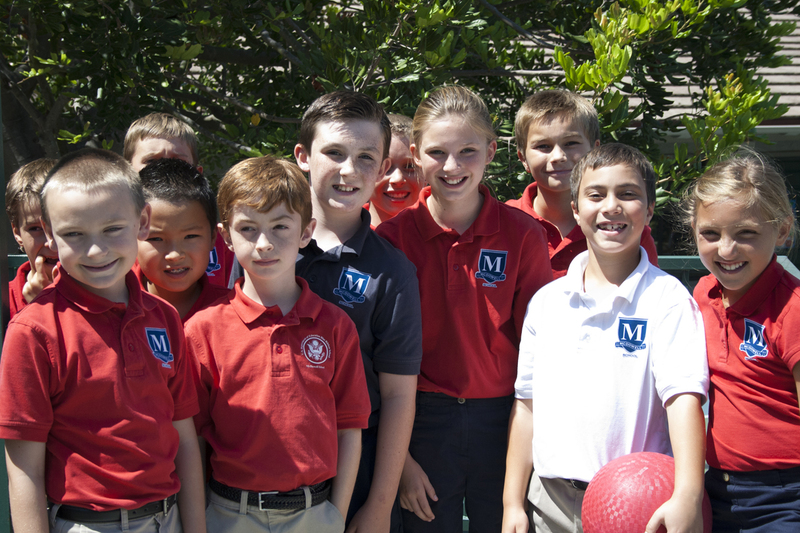 McDowell Private Preschool-Elementary School, one of Southern California’s premier private schools located in the beautiful city of Laguna Niguel, is the Lunch MOB’s latest school, customer, and partner! We are honored to have the opportunity to work with a school that values excellence and partnerships as much as we do. One of the things that sets McDowell School apart is the way their community of parents, staff and students partner to create a culture which inspires academic excellence while instilling character traits necessary for our future leaders in an ever-changing world. Our approach to an innovative healthy school lunch service is one in the same. 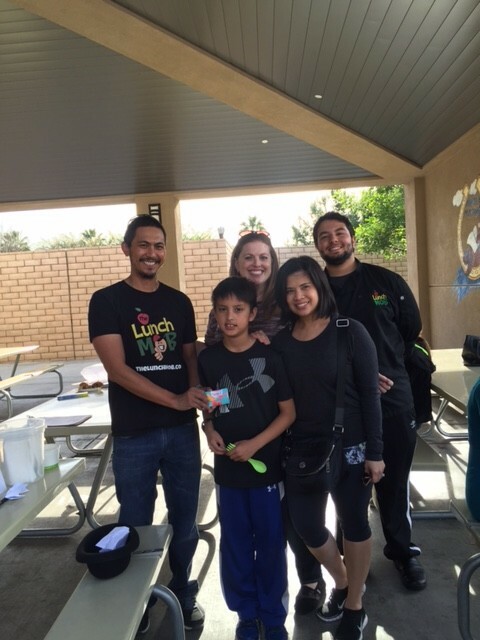 The Lunch MOB seeks to empower parents, students, and schools to foster a healthier lifestyle. It’s hard to find a partner that can provide meals that you, your students, and their parents can trust. We offer a selection of high quality, made-from-scratch, nutritious meals that you can be proud of. With more than 60+ unique menu items, we’re absolutely sure that your kids will find something they’ll love! From our scrumptious entrees to our savory soups; from our hearty sandwiches to our refreshingly cool salads, there’s something for everybody. We offer your kids’ favorites, but we also strive to always introduce new items because we believe that kids’ willingness to try new and different foods can empower a lifelong virtue of open-mindedness. We handle it all for you. From ordering, cooking, cleaning, billing, and delivery, we make the entire process of providing a meal easy and seamless. Our food is freshly prepared in a commercial kitchen and carried in proper warming/cooling units ensuring freshness at arrival. And every meal also comes with a choice of cold drink, a serving of fresh fruit or vegetable, and snack. The founding principle of The Lunch MOB is to foster healthier eating for our kids. And so, we will do whatever we can to empower schools to follow the same. For every meal that is purchased, The Lunch MOB will donate 5 cents to the school. The more meals are purchased, the more we give back. And much like the spirit of McDowell School, we are passionate about empowering children to learn and grow at their own pace. 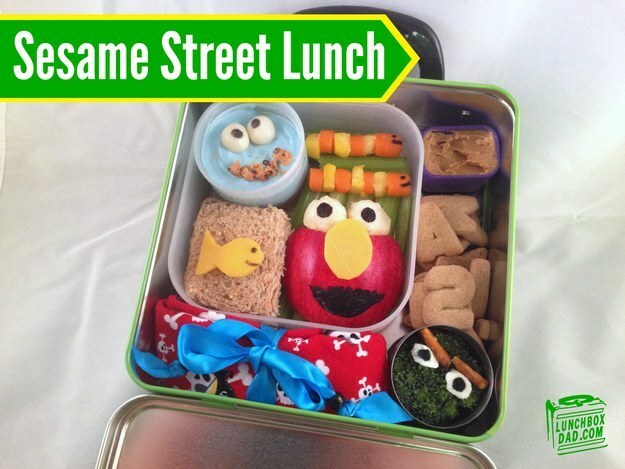 We bring back fun and interactivity to lunch time. Our cheerful characters of The Lunch MOB have unique stories about food that kids can relate with. And along with our board certified nutritionist, we can educate and empower you and your kids about healthy eating and help them develop habits that can last for a lifetime. We are happy to be working with the school to provide quality and nutritious meals for students as well as their excellent faculty and staff. 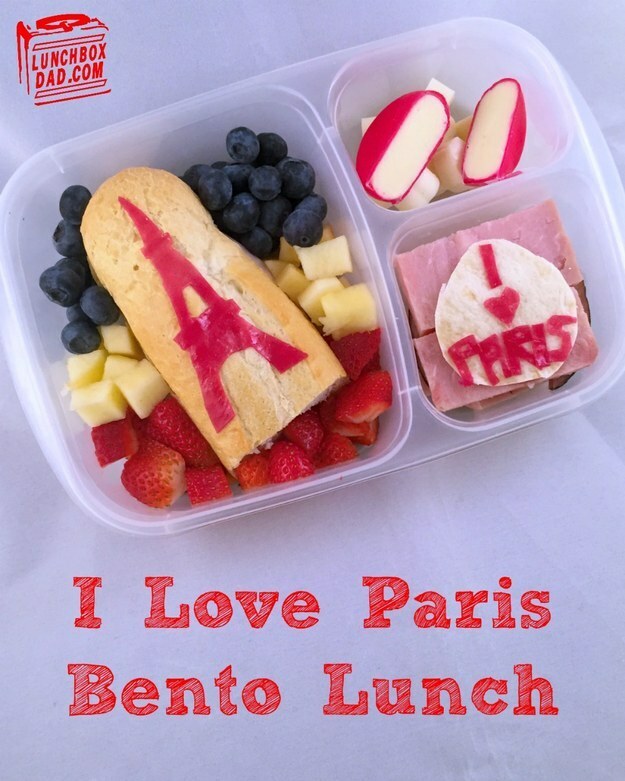 Would you like to try out our healthy lunch alternatives for either your children or their school? Contact us, we would love to talk with you about all we have to offer and keeping your children healthy and happy. The Lunch MOB characters, Maya, Orlando, and Bali, enjoy a new twist on Thanksgiving dinner, healthy alternatives to some of their favorites that they ended up loving! 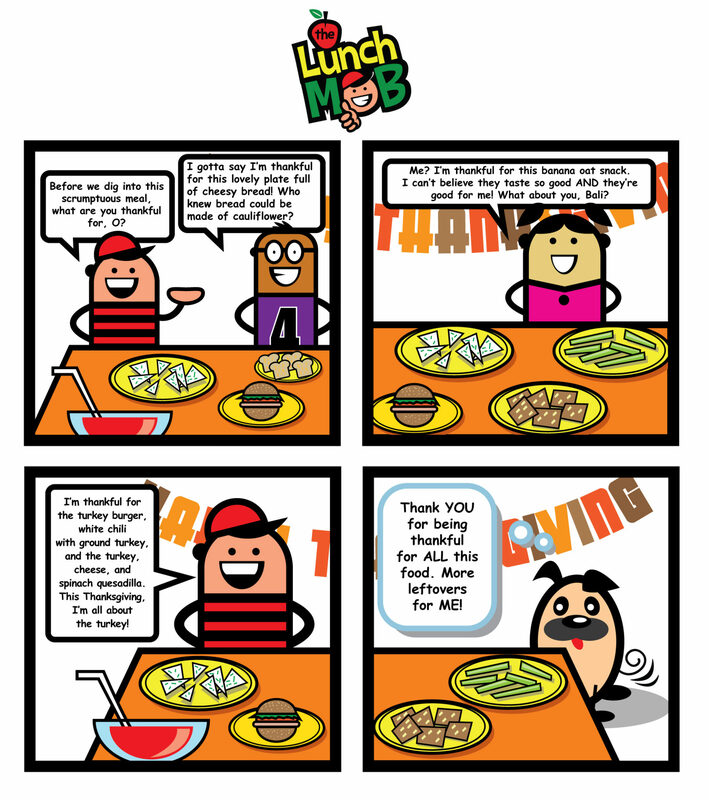 We hope you had a wonderful Thanksgiving and stay tuned for more adventures with The Lunch MOB characters!